As part of another plugin I'm developping I created this test. 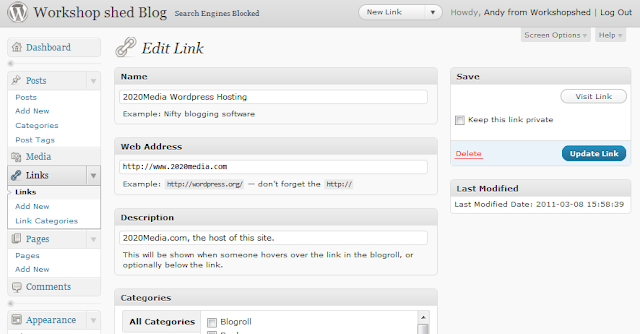 The plugin adds a new Meta box on the right of the links form to display the date the field was last modified. There's some code to capture the date that a link is modified. The field already exists in the table so the code ended up very simple. Suggested changes if you wanted to use this. // This function tells WP to add a new "meta box"
Whilst researching for an animated film I became facinated with the Flea Circus. The results were some websites a blogs all about flea circuses.